When it hits the summer highs and becomes like a broiler outside, the last thing I want to do is boot up an oven or eat anything heavy. I want something that is fresh, crispy, and quick. My general slaw preference is for a creamy coleslaw, but tonight I wanted something a bit more bright and decided to go with a vinegar based coleslaw instead. It paired nicely with the sausages that were thrown on the BBQ. This was exactly what I was looking for, and the flavours of dill and fennel went wonderfully with the caraway seeds and tang of the horseradish! Note that I was keeping this low carb and using what I had in the fridge. Feel free to add purple cabbage or shredded carrots if desired. Grate the fennel and cabbage on a somewhat fine slice. Crush the caraway seeds and chili flakes slightly in a mortar and pestle. 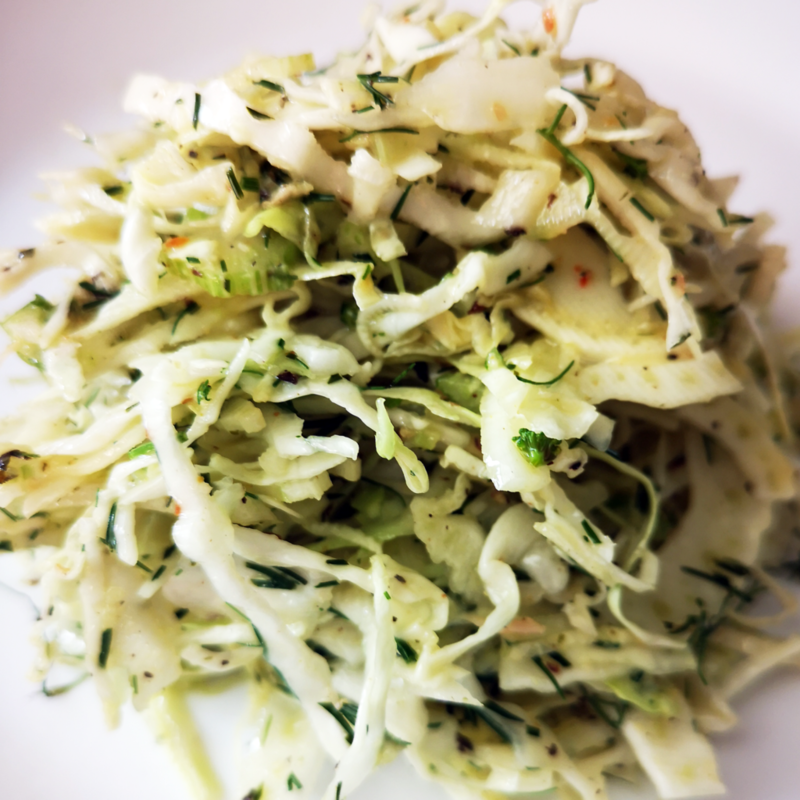 Combine with the other ingredients in a small food processor and drizzle over the slaw mix, tossing to mix. Garnish with some more fresh dill if desired.